That’s farmer Ken Panciera, keeping an eye on his cows, as he does every day, even at age 87. Here at Russet Valley Farm in Hopkinton, R.I., the Panciera family is in the fourth generation of farming the land once roamed by Narragansett Indians. It’s a stewardship we take seriously. Our 240 acres are about one-third fields and pasture, one-third woodland and one-third wetland. To help preserve it, the development rights have been sold on most of it. In our earliest days, Christopher Panciera, an immigrant from a tiny village in the Italian Dolomites, chopped trees for lumber to sell to the railroad for a spur to a nearby quarry. And to pay off the money borrowed to buy the land. Too quickly, in fact, to please his local moneylender. Later, one of his sons, Peter, started raising Ayrshire dairy cows, selling the milk by horse-drawn wagon along country roads. They picked the tart russet apples and turned them into cider. They built a barn of hand-hewn timber raised from granite stone walls. They added on to the pre-Revolutionary War house that came with the land. They grew their own hay and corn for silage. The dairy business grew under Peter’s sons, Kenneth and Ronald, to a herd of about 100. A tank truck from a local dairy picked up the milk instead. Children roamed the acres, picking apples, blueberries, raspberries and grapes, guided by their grandmother, Nellie, Peter’s wife. But by 1975, the milk business was too tough to support three families. So, the cows were sold. The farm lay quiet. Ken Panciera, who became an insurance agent specializing in insuring farms throughout the region, began buying beef cows. Polled Herefords, in the same rusty brown and white coats as the Ayrshires before them. With his brother Ron at his side, they cared for cows once again. The size of the herd increased over the years. 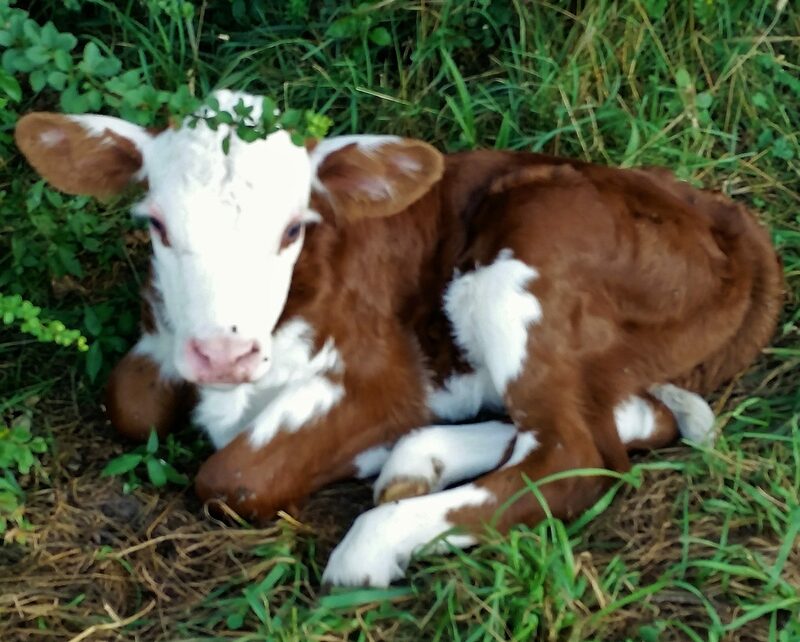 With the help of family members, the farm now is home to about 35 to 45 cows. Most are registered with the American Hereford Association. They are bred on the farm with our bulls or through carefully selected AI bulls. They’re raised on mother’s milk and our pastures, then fed on hay primarily grown on our acres. We know all the sources of their food, the status of each’s health, and their nicknames. We specialize in selling beef on the hoof, to buyers who may want to raise cows themselves, process them for beef for personal or commercial use or to sell through established markets. It’s hard work, every day. But we think the results, to our customers and to ourselves, are worth it.